You will save money on gas – Even though gas prices are fairly low and have been that way for a while, you can still save about a third of the money you would be normally spending on gas. You will get a big tax credit – When you buy an electric car, you can earn a federal tax rebate of up to $7,500. Better parking opportunities all over Hawaii – There are specific (and free!) spaces on the street and in municipal lots all over Hawaii for electric vehicles. Use the carpool lane without carpooling – In Hawaii, you will be legally allowed to use the carpool lane with only yourself in the car if you are driving an electric vehicle. You will qualify for $50 of free charging – When you register your electric car on the Project Footprint website, you will qualify for fifty free dollars’ worth of charging at Hawaiian Electric, Maui Electric and Hawaii Electric Light vehicle charging stations. Hawaii’s Electrification of Transportation Strategic Roadmap (or EoT) is Hawaii’s strategic plan and vision for a future with a transportation system that runs entirely or almost entirely on electricity. With several initiatives that encourage the use of electronic vehicles, the EoT hopes to have Hawaii’s transportation gas-free by the year 2045. They will work closely with auto-makers and dealers to get the cost of buying an electric vehicle lowered while also doing everything possible to educate customers. They will work to facilitate and speed up the build out of the infrastructure of charging throughout the state of Hawaii. Making charging as easy and available as possible will help motivate people to go electric with their vehicles. They are going to help bus and public transportation operators prepare and transition to electric only vehicles. They will create programs that will benefit both electric vehicle drivers and all electric grid customers by producing more grid service opportunities. 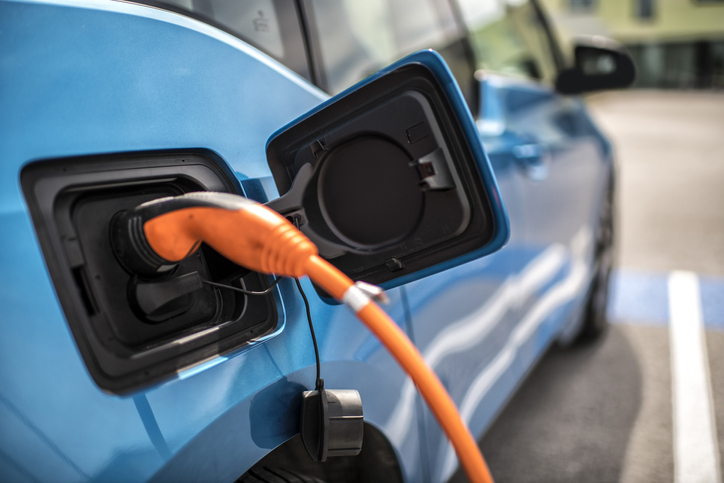 They will coordinate with city and electric grid planning efforts in order to make sure that many more electric vehicle charging stations are properly planned for. How do the charging rates work? The charging rates are calculated after a new meter is installed at your home. It can either be a completely new meter which can measure both your regular home energy use as well as your electric vehicle charging use, or a separate meter can be installed just to measure your vehicle charging. Rates for vehicle charging are different throughout the day. This is to prevent a surge of charging at one particular time. Rates are cheapest during the day between 9 AM and 5 PM in order to discourage surge charging immediately before and after those times. Do I get any sort of tax break for driving an electric vehicle? You will get a federal tax credit of up to $7,500 dollars. The amount you get for this tax break will be dependent on your other tax exemptions, your tax bracket and other variables. You can find out more information at https://afdc.energy.gov/laws/. What should I consider before buying an electric car? Before you buy an electric car, you should consider the details of your electric vehicle purchase most of all. This means that you need to think about whether or not to get a pure electric vehicle or a hybrid. You will also need to consider things like getting the proper cords in order to charge it with. Also realize, there are a few scattered charging stations across the several Hawaiian Islands, however they are still pretty far and few. Make sure you can get by most days with just charging your car at home once or twice. Can I get a charger for my electric car installed at my house? Yes, it is possible to get a charger installed at your home for your electric vehicle. Whether you, specifically, will be able to will be dependent on your home’s capacity for energy use. The majority of more modern homes will have no issues getting chargers installed. It will typically take about half an hour to get get your car about eighty percent charged. Hawaii is “all in” on electric vehicles right now. The state is looking for as many people as possible to start using electric cars. So, the incentives will only get better in the coming years. Primarily, the state is looking to reduce their carbon-emission footprint by as much as possible and to the point that they become a leading example for the rest of the world. If you already have an EV and you need to ship your electric car to Hawaii, get in touch with the auto transport experts at Hawaii Car Transport today!